Just say no to "spaghetti" wiring in your pedal projects. This is high-quality, tinned, 3-conductor stranded copper wire. Each of the 22 AWG conductors is comprised of 15 strands. This wire is perfect for builds with wired potentiometers, toggle switches, bi-color LED's, etc. 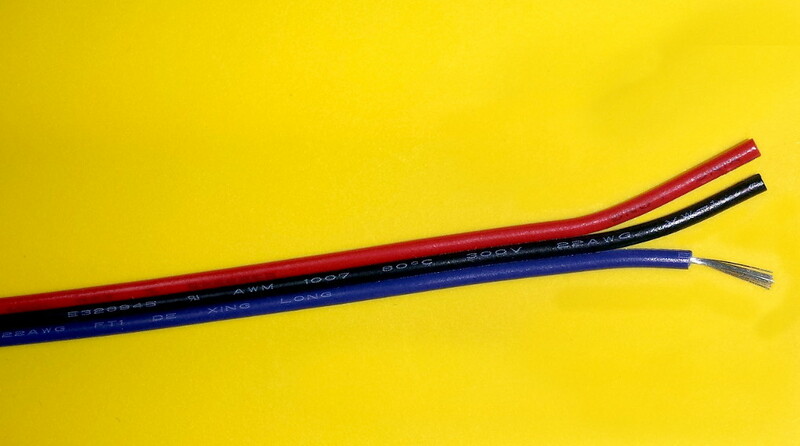 It is easy to peel off one conductor to make a 2-conductor wire for SPST switches if needed. Price is per yard (3 feet or 36 inches). One yard is usually enough to wire a whole bunch of potentiometers. While our kits do come with hookup wire, they do not include this ribbon wire, so this makes a nice upgrade to our kits with wired pots.